Up for a great story? 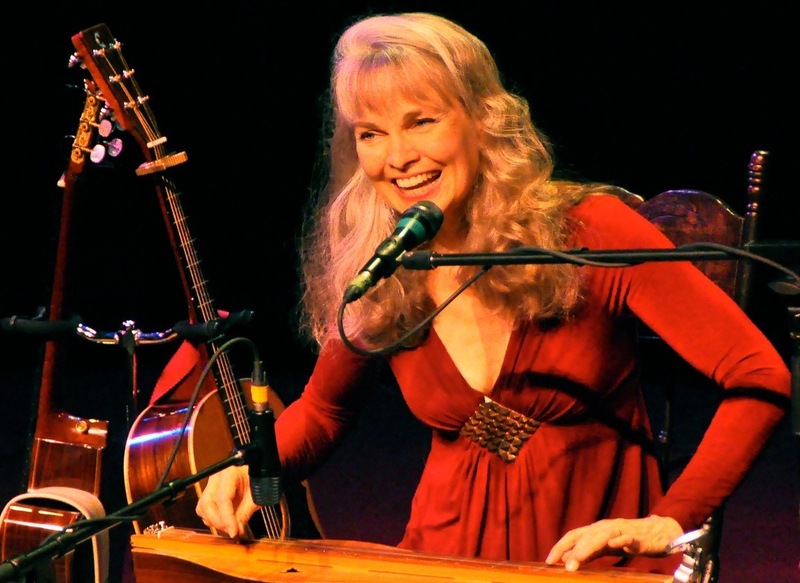 Effervescent raconteur Rosalee Peppard, with soaring vocals above her guitar and dulcimer, is delighted to regale her internationally acclaimed Canadian women’s musical oral history and more, at Winterfolk’s Acoustic Harvest Showcase. Rosalee was invited to perform her musicale: “Living Titanic” at the 2015 International Titanic Convention, and Titanic Belfast in Belfast, N.I. Rosalee has received 2 Dr Helen Creighton Folklore Research Awards and a Colchester Heritage Award for transcribing women’s oral history into song. Rosalee’s song: “Laura Secord” is the first song to be added to the interactive “Laura Secord Heritage Trail” part of the Canada Trail System. Effervescent raconteur, Rosalee Peppard is a master musical oral historian who collects and transcribes an authentic living echo of the voices of Canadian women she interviews and researches. She crafts their stories into theatrical “song portraits”, and shares them powerfully, self-accompanied with dulcimer and guitar, (often wearing couturier costumes) in her “Hauntingly beautiful live performances”. In 2015, Rosalee was honoured to be the only artist invited to perform her LIVING TITANIC at the International Titanic Convention, and Titanic Belfast in Belfast, UK. Rosalee has published 3 CDs of this work, tours internationally and has received 2 Dr Helen Creighton Folklore Research Awards and a Colchester Heritage Award for her ongoing contribution to Canadian oral history.